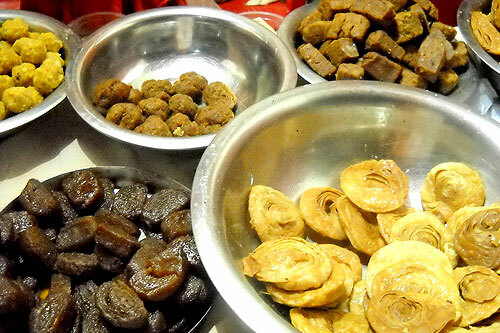 Anna Prasad is available inside the Temple. Devotees may book the required quantity / heads, before one day from the Temple Office. Costing of Anna Prasad varies day to day depending on the number of items on the Menu on that day (starting from Rs.70/- per head to higher rates). Devotees may request for any special item (minimum 25 heads for special item), subject to acceptance by the Temple Administration. 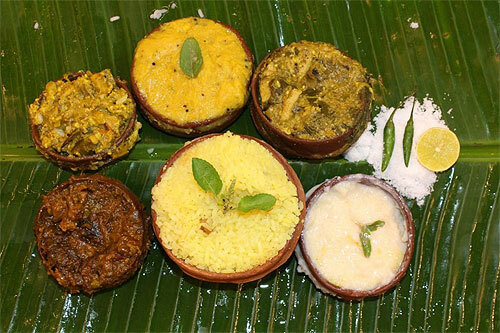 "Chhappan Bhog" is available once in a year during the Bhagbat Saptah.